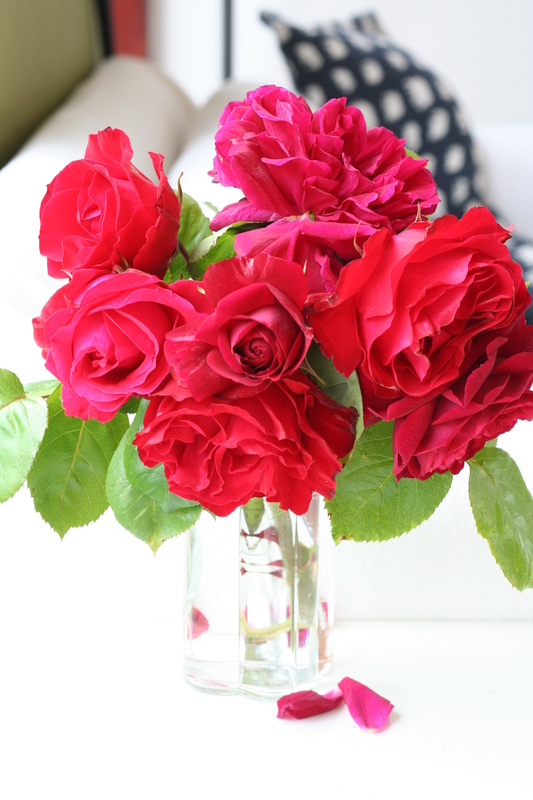 These are from the garden this morning and they have the most amazing fragrance filling the room. I am just about to move them to the hall so they last a bit longer. I don’t need to tell you what red roses mean, we have that ad nauseum at Valentine’s day don’t we. My Dad thought flowers looked best in the garden so I doubt that he’d approve of me picking these blooms. He definitely loved red roses though, they are what he chose for Mum when we said goodbye to her. My naughty friend, Jean, presented me with one of the roses pressed in a frame not long afterwards, I treasure it dearly. They are so much more red in real life and are sadly beginning to lose their petals already. Maybe my Dad was right about leaving flowers in the garden! thanks, he is not always so sweet! 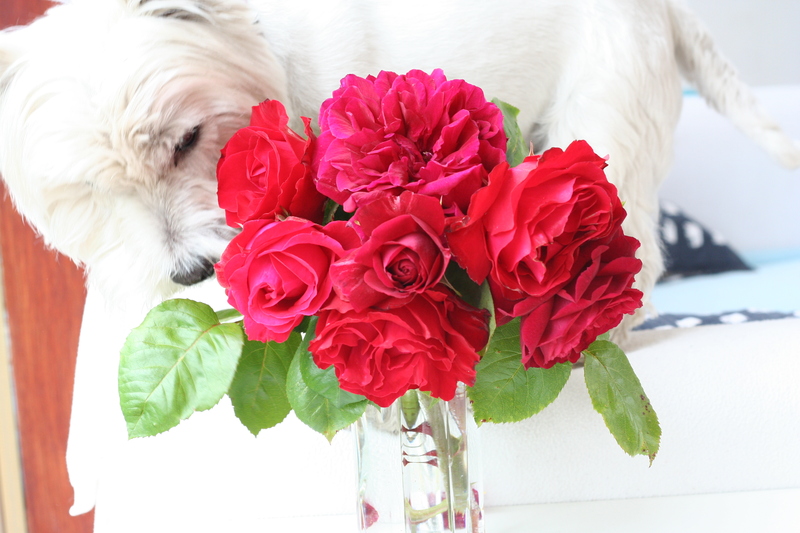 Beautiful roses, and what a sweetie Lennie is … if one of the whippets got that close to a vase of flowers I’d know it was about to be knocked over!